Nicole has been with FCL since 2011. Nicole’s practice focuses on professional liability, municipal liability, employment litigation and human rights claims. She also advises clients on policies relating to employment practices and human rights law. Nicole has successfully represented clients in the Ontario Divisional Court, Ontario Superior Court of Justice, Small Claims Court, Human Rights Tribunal, Ontario Labour Relations Board, and the Financial Services Commission of Ontario. Nicole attended law school at the University of Manitoba and obtained her J.D. in 2011. 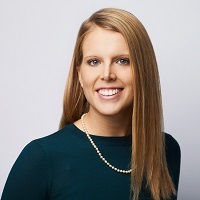 Prior to attending law school, Nicole completed her Bachelor of Arts at McMaster University with a major in English Literature; she graduated with honours.